Follow us. Become a follower of classiccampbell. This will let you receive updates without having to check the blog every day. Not that I don't strongly encourage you to visit every day, but I'd also like a couple more followers! 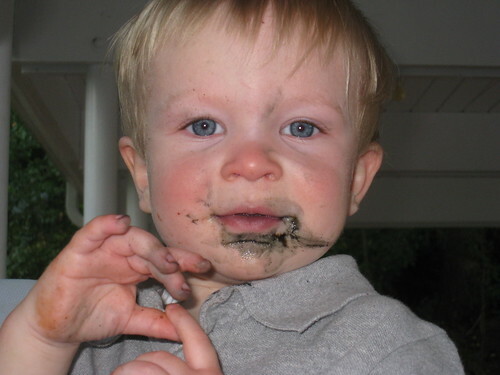 Henry also says that black icing off of a ladybug birthday cake is delicious. Where did he get black icing?